There was a white supremacy rally in Charlottesville, Virginia last night. I was disgusted when I heard about it this morning. This cannot and should not be allowed and we need to stand against hate and stand for the equality of all people. I designed a Black Lives Matter hat a while back and have been wearing it in public for the last few weeks. The events of last night gave me the spur of energy needed to finish writing the pattern. Also, I included instructions for altering the hat to fit afros. I have very flat hair and my hat designs typically fit those with flatter hair perfectly, but I have not done a good job altering my designs to be inclusive for those with different hair styles. Here are my suggestions for altering this hat as well as any of my other designs to be suitable with afros. Please contact me if you have any other suggestions or guidelines for designing hats for people of color as I had a hard time finding resources for this online and had to consult some friends for advice. Notes for altering beanie hat designs to accomodate afros: To make a hat that can accomodate an afro where all the hair is shoved into the hat, as a general rule, add 1 inch to the hat (before decreasing) for every 3 inches of afro. The ribbing will need to be tight enough to stay on and you may consider sewing some stretchy satin to the brim. 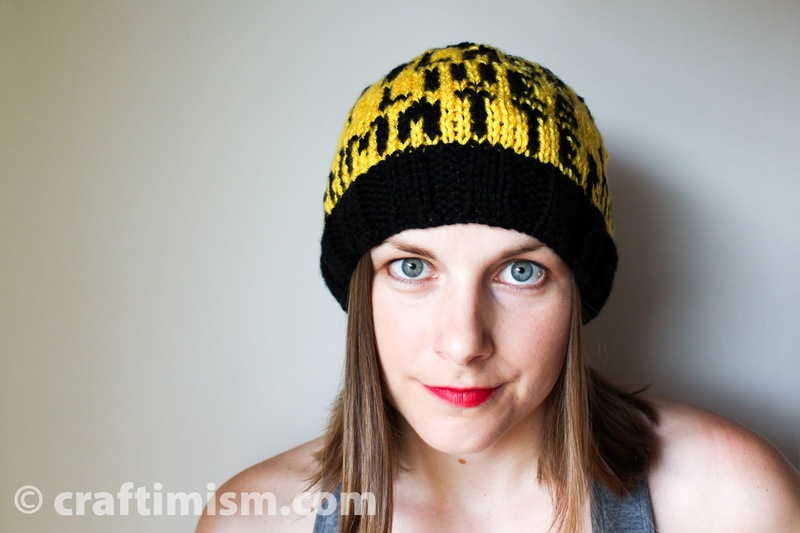 If the wearer intends to wear the hat over an afro with the hair down, the hat should be made wider rather than taller and 1-2 black stitches could be added to one side of each repeat. 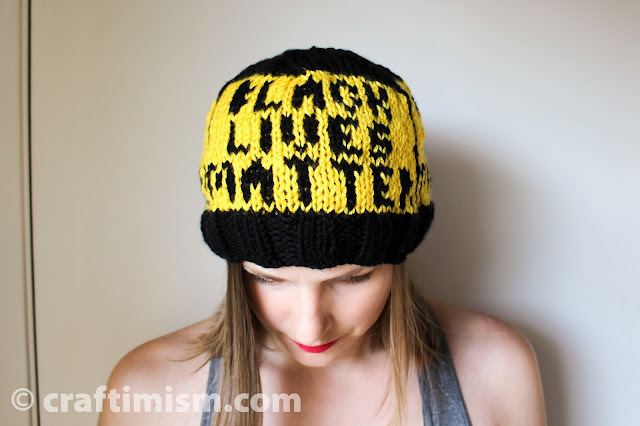 Click here to get a printer-friendly pdf of this Black Lives Matter Knit Hat pattern.